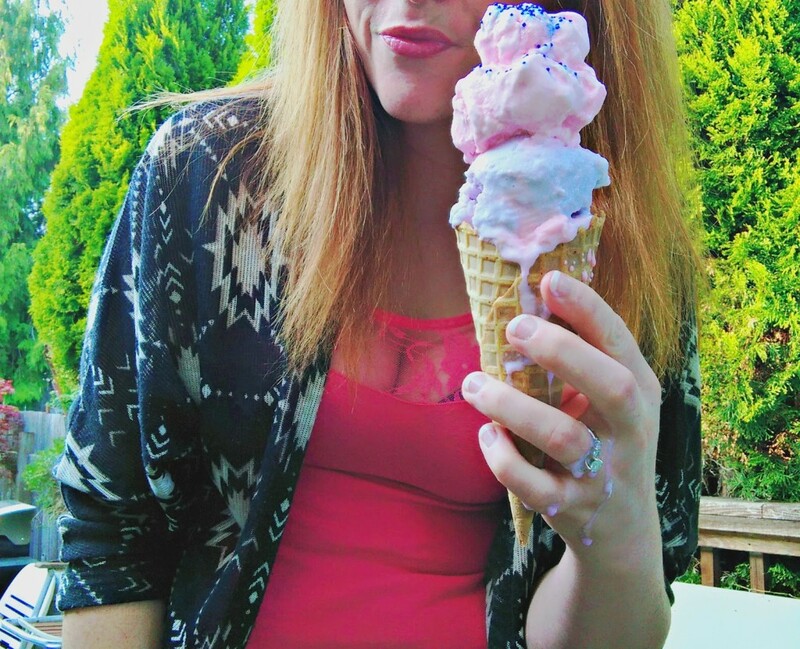 “I scream, you scream, we all scream for ice cream!”… Sometimes I find myself humming the classic tune on warm sunny days and yesterday was definitely one of those days! Here in Oregon the month of April can be a hit or a miss on the weather – meaning we could pretty much have a little of everything. 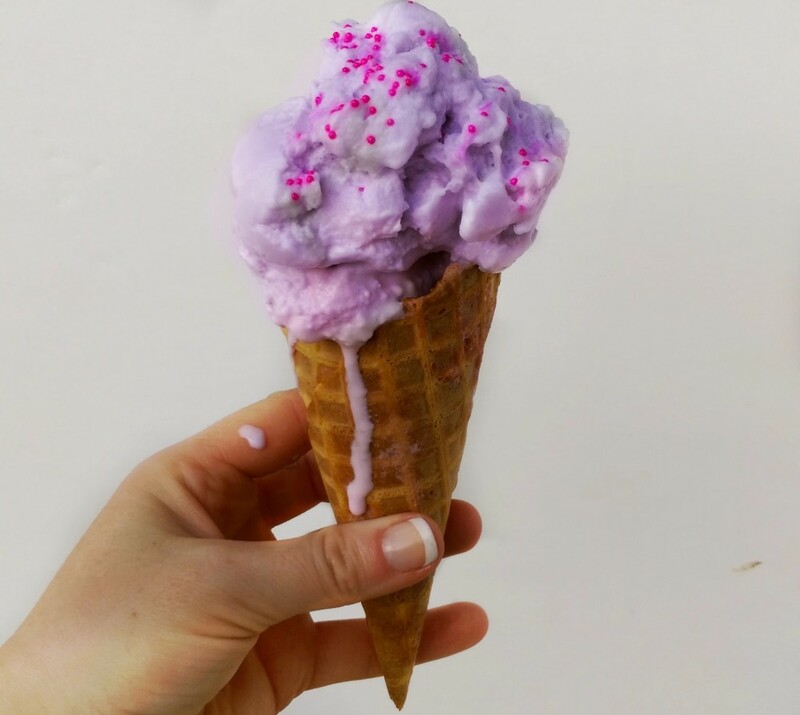 Luckily yesterday and today are simply gorgeous with temperatures around 75 degrees, which means everyone starts thinking about barbecues and ice cream! 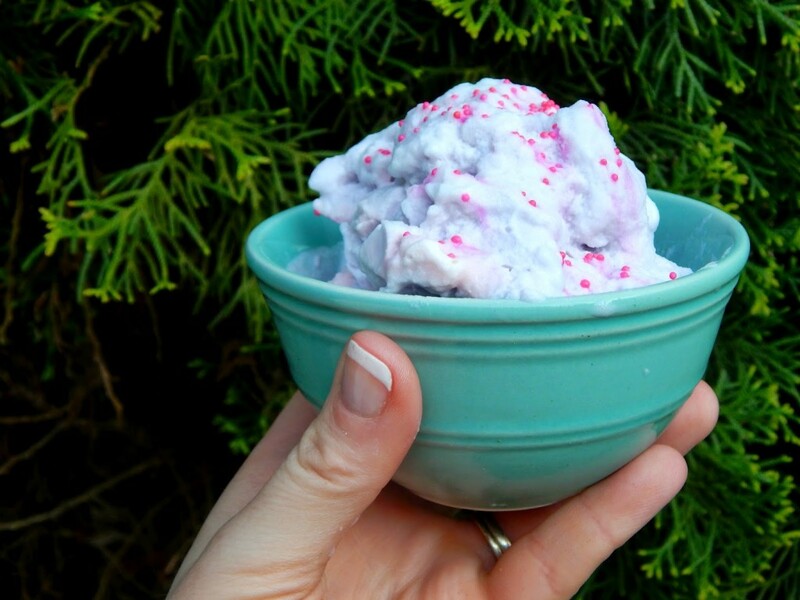 I like to get creative and make my own ice cream from time to time. 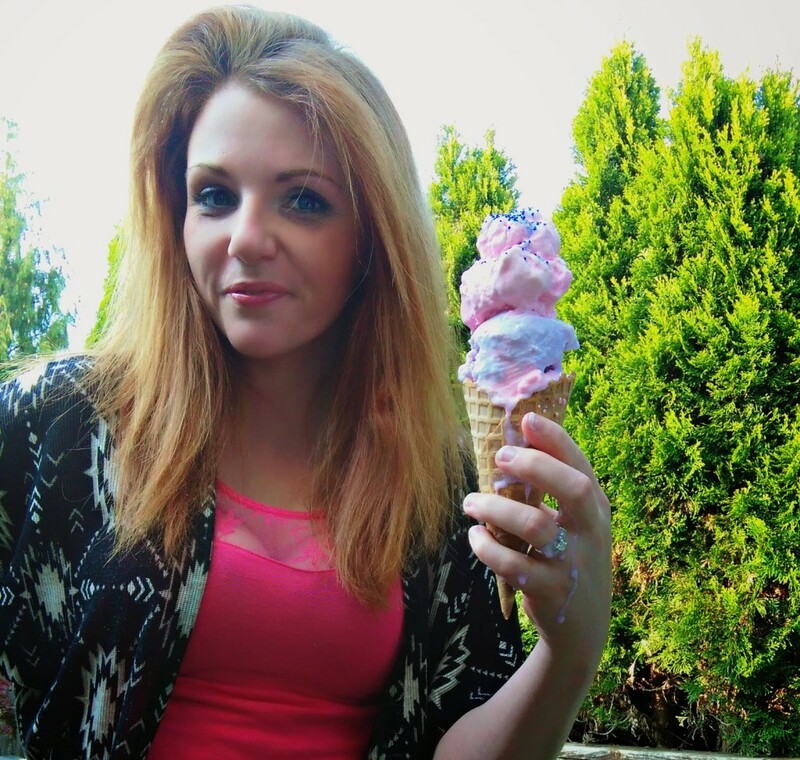 We have a traditional ice cream machine as well as a small one that is in in the shape of a ball that you literally roll back and forth and shake to create ice cream. It works well if you are camping, but it’s definitely a workout! 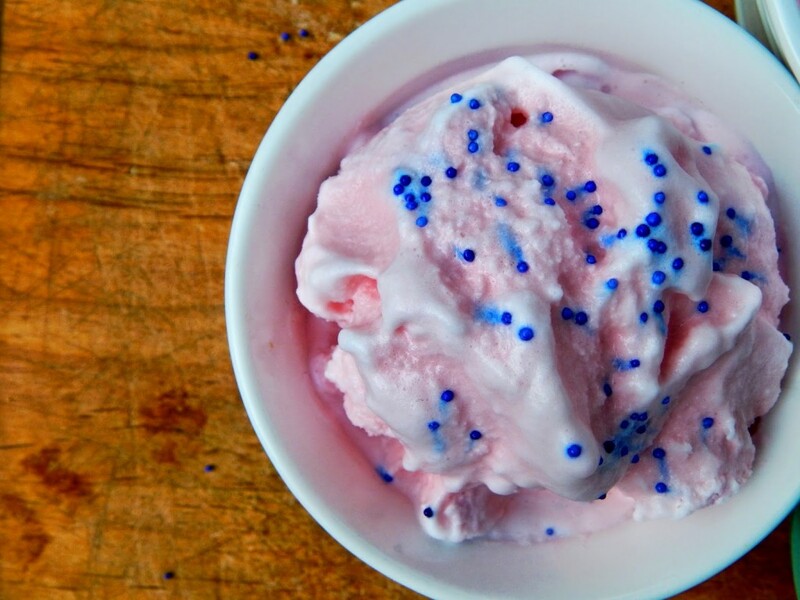 So yesterday Anika and I made ice cream in my traditional ice cream maker, but we made the ice cream with a slightly non-traditional ingredient that I had personally never thought of using before – Kool-Aid Easy Mix. 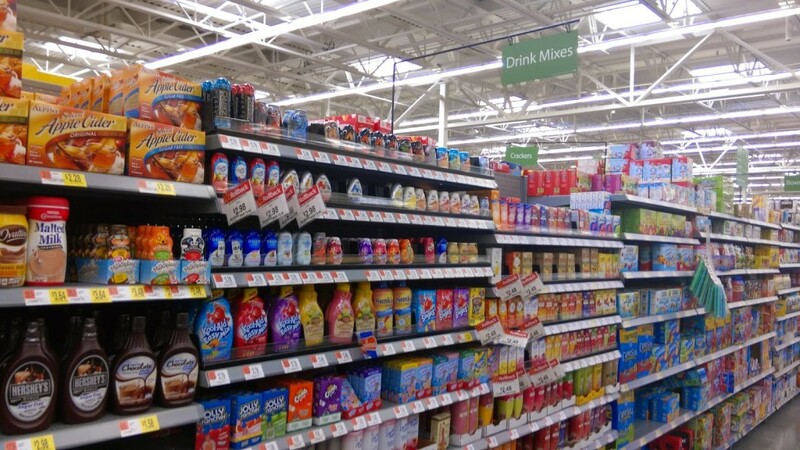 We were at Walmart last week and from time to time they have in-store demos, and they happened to be demoing their new Kool-Aid Easy Mix, which is really convenient to make because you add water and make the desired amount that you’d like. 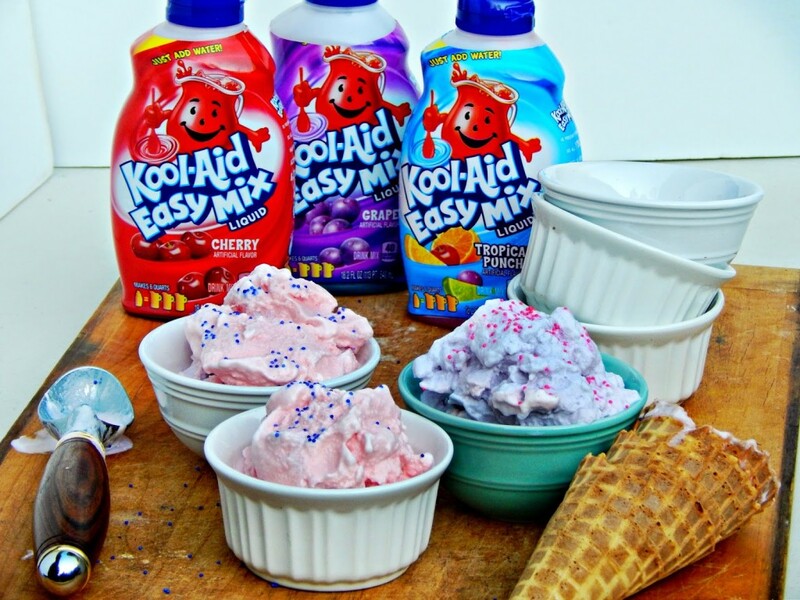 Well, I got to thinking that not only would the Kool-Aid Easy Mix be good for making beverages, but just might be an easy way to make some fun ice cream flavors – and I was right. 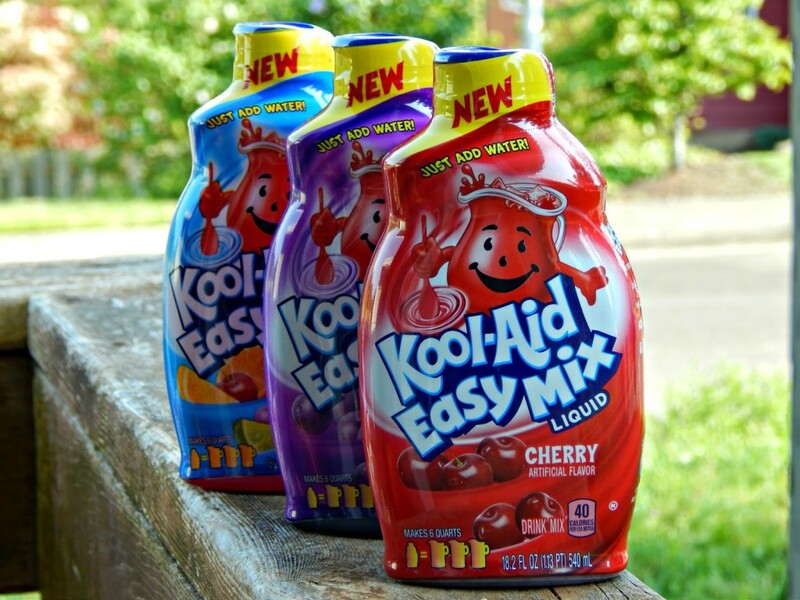 The Kool-Aid Easy Mix comes in cherry, grape, and tropical punch, so I bought one of each and put our ice cream making skills to work. The results were very satisfying! 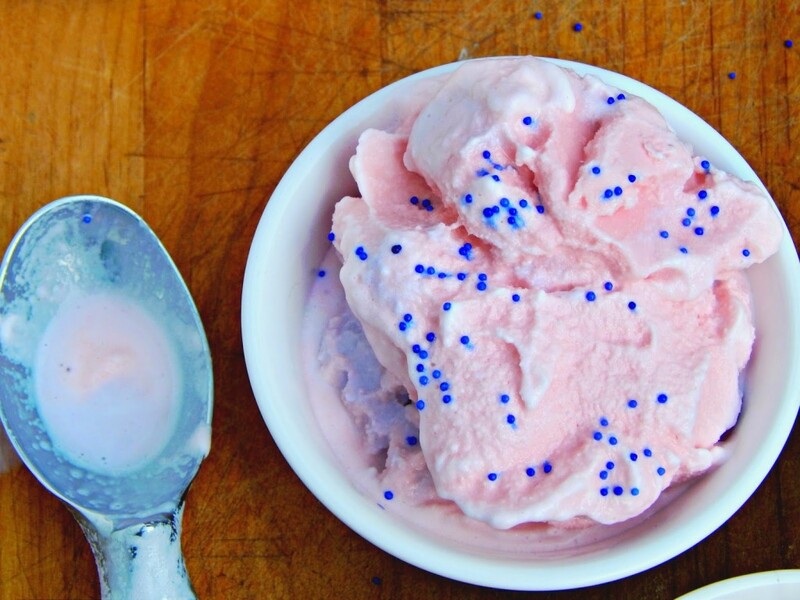 Ice and rock salt (per your ice cream makers’ instructions). 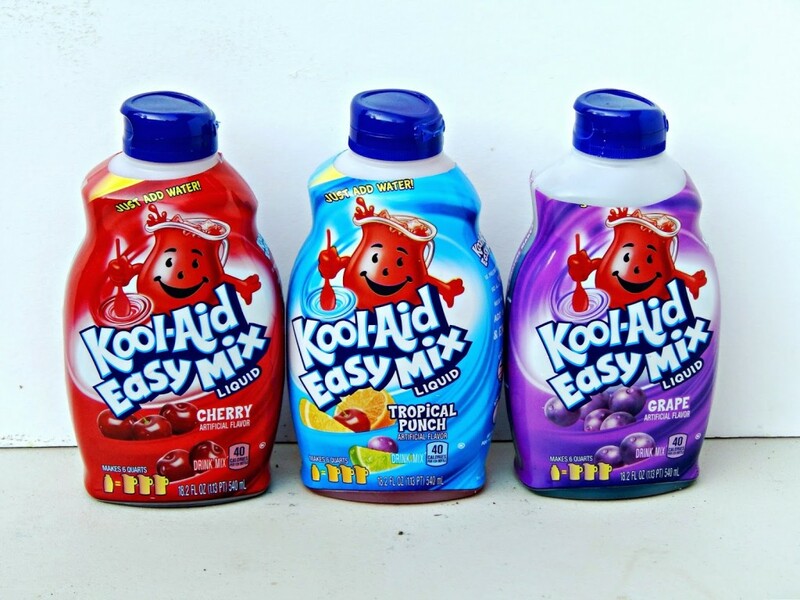 Pour the cream; half and half, milk and Kool-Aid Easy Mixinto a mixing bowl. Whisk together until combined. 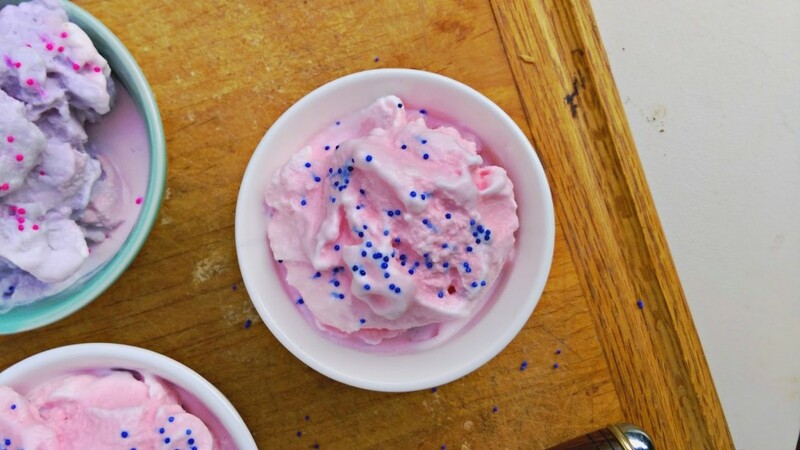 Pour into ice cream machine and follow the machines instructions. 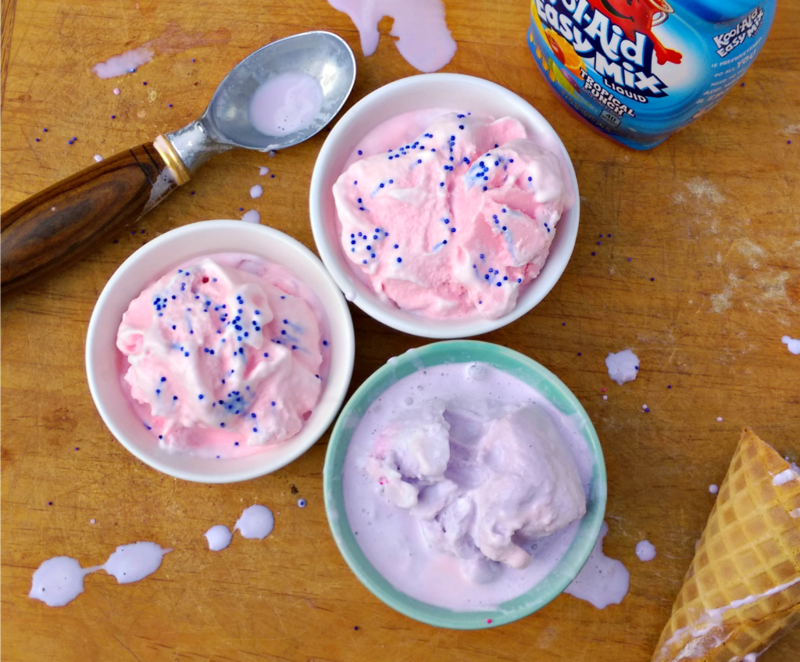 When the ice cream is finished, scoop into a waffle cone and top with your favorite color of sprinkles. 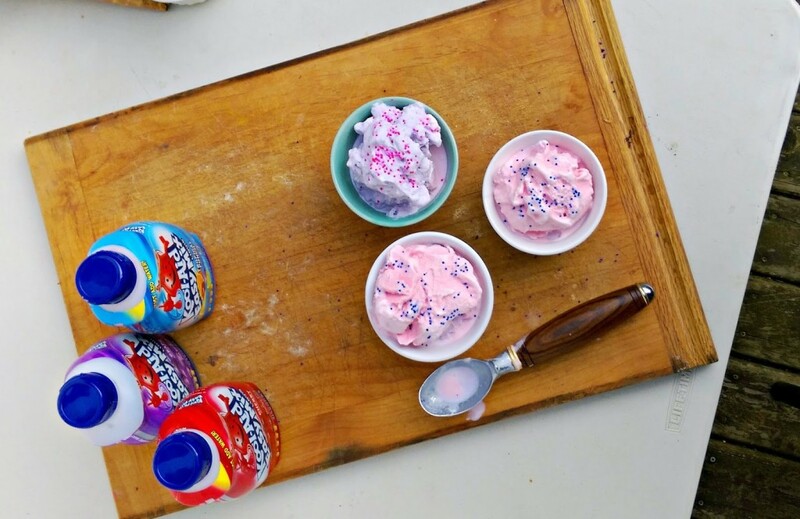 This could also be a fun way to let kids participate in making a cool treat during play dates or even birthday parties! 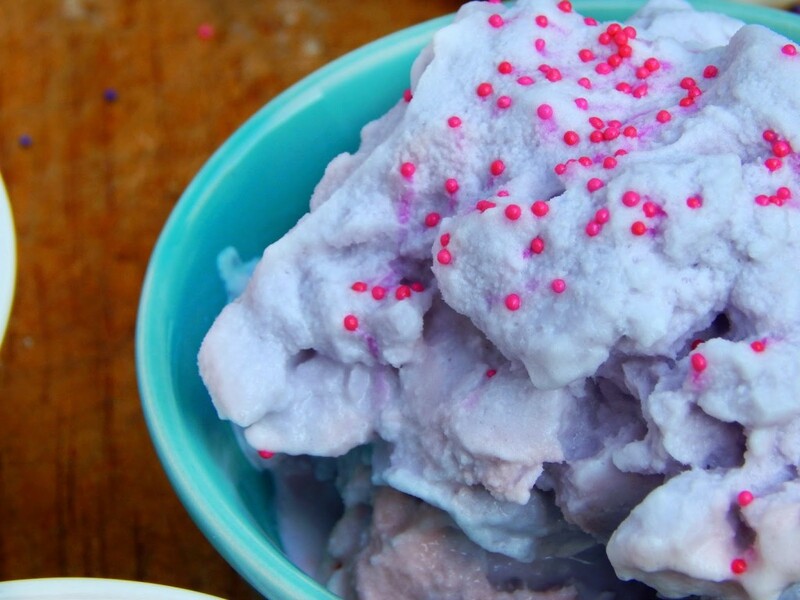 Do you ever make your own ice cream? That looks so good! What a great idea! 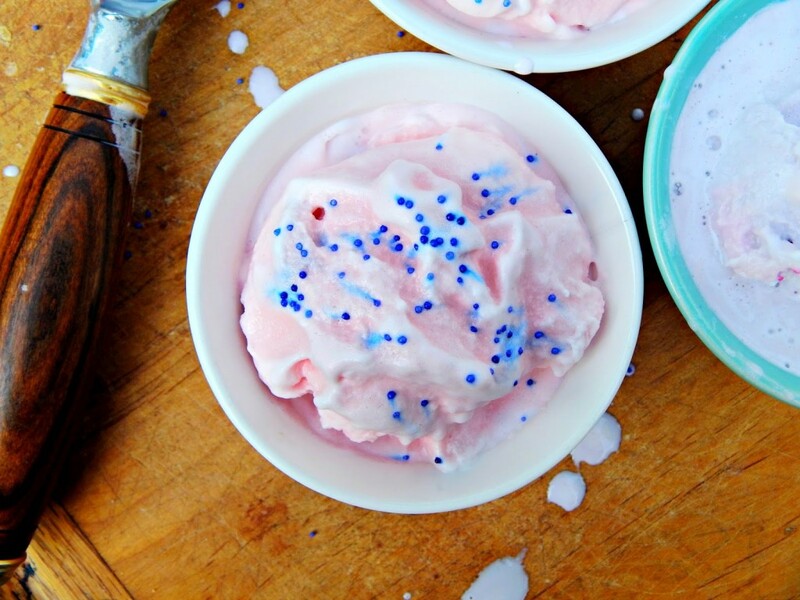 I'd love to try the cherry ice cream! Yum!